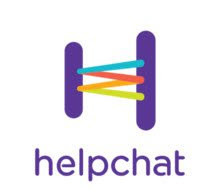 HelpChat Offering 10% Cashback on Recharge of 50 Rs or More. A user can avail maximum cashback of Rs 20 once per week and a total number of 4 times during the offer period. Offer is not valid for airtel users. - Maximum cashback of Rs. 20. - Get 10% Cashback on recharges done via Helpchat. - Valid 4 times per user or device or mobile number. - Use coupon code "MOB10"
- Minimum recharge amount Rs.50. - This offer can be availed once per week. - Valid till 22nd July 2016.